The King Cole Bar might be one of the most beautiful bars in town, if not the world. Since New York City has few of these legendary haunts remaining, when I have a chance to stop by one for an evening, I can’t resist. If you’re at all curious about this storied tavern and think you might like to indulge yourself, here’s what you should know. 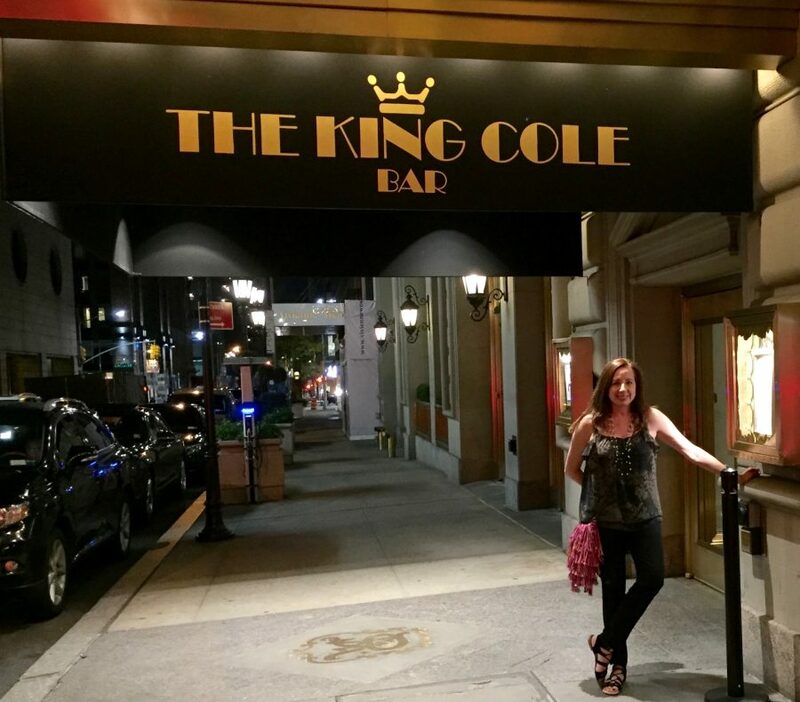 Let’s get one thing straight –– the King Cole Bar is not a drinking establishment that you frequent every week (unless, of course, you have unlimited resources). 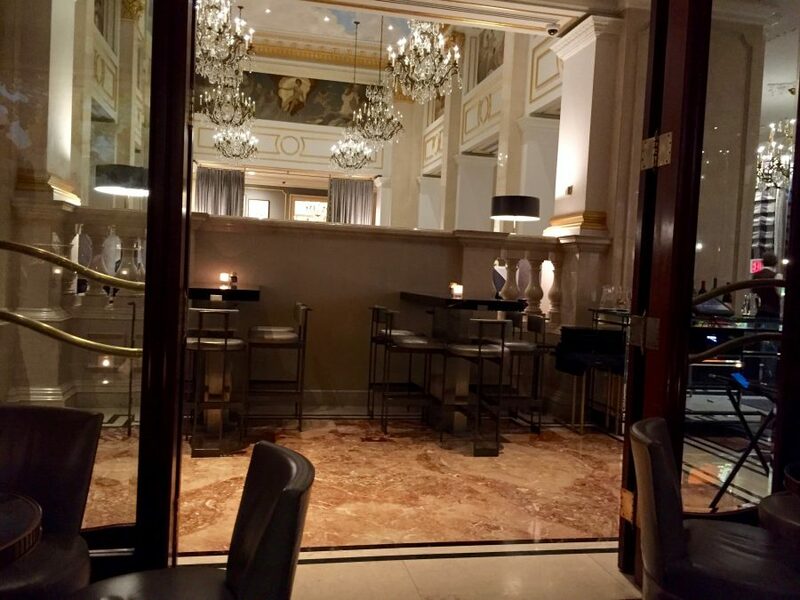 I like to think of it as a special occasion place because it is very classy and very expensive, but it’s a one-of-a-kind spot in the St. Regis New York, so expect an exceptional experience. If you live in NYC, you know how crucial it is to stick to a budget. And if you’re visiting, you don’t want to spend all your vacation money in one night out on the town. I recommend stopping by the King Cole for a pre-dinner cocktail, or an after-dinner drink since the bar stays open until 1 a.m. six nights a week, and midnight on Sundays. Now, speaking of cocktails –– what should you drink? I went with a French Martini, and it was delicious, but you can order most any spirit or mixed drink. The bar offers wines by the glass, beer, a limited food menu, and specialty cocktails as well. If you’re a gin drinker, opt for the “Old King Cole” (Tanqueray, Martini Rosso Vermouth, Nonino Amaro, and Orange Burnt Orange Peel). Or, if tequila is your poison, try the “Madison Avenue” (Patron Silver, fresh lime, blood orange soda, and a pinch of salt). And if you’re a fan of bourbon, you might try the “Midtown Spice” (Bulleit Bourbon, apple liqueur, Canton ginger, Angostura bitters, and Maraschino cherry). 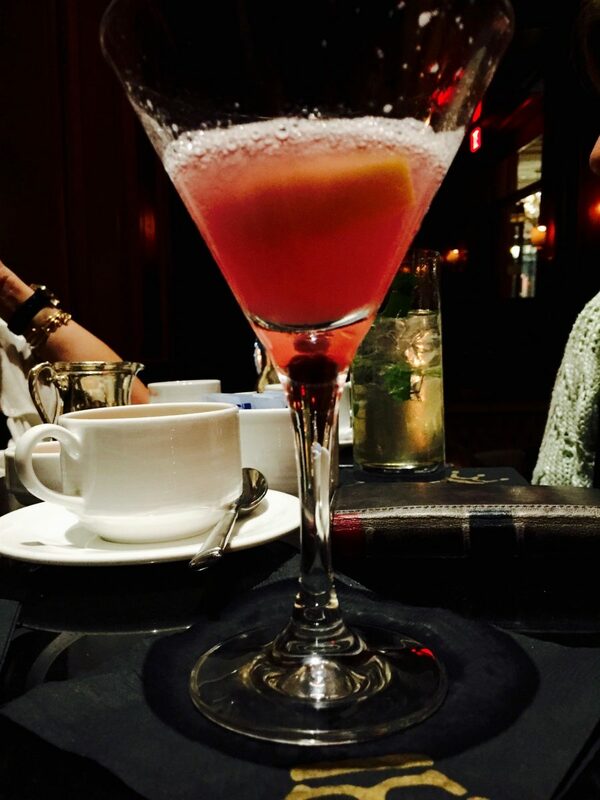 I must mention the King Cole Bar’s signature cocktail – the drink that has made the salon so well known. In 1934, bartender Fernand Petiot refined the vodka and tomato juice beverage and named it “The Bloody Mary.” That name wasn’t appropriate for the upscale clientele, so the drink was renamed “The Red Snapper.” Apparently, that name didn’t stand the test of time like the original, but the drink sure did. 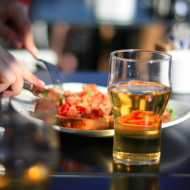 If you’ve ever wondered about the history of the famed brunch libation that we know today, there you have it. Needless to say, the King Cole Bar has a selection of Bloody Marys to choose from, and St. Regis Hotels around the world continue to feature this signature cocktail on their bar menus. The seating is comfortable, the atmosphere is chic and somewhat subdued (depending on the crowd, of course), and the bar snacks are fantastic. Few bars put out snacks any longer, but the King Cole does, and they do them well. 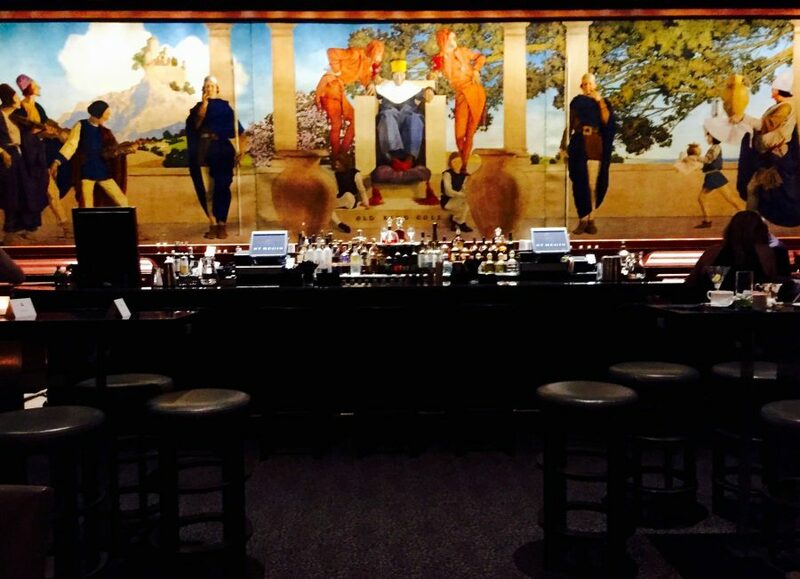 And with the Maxfield Parrish mural decorating the bar wall, you immediately feel like you’ve stepped back in time. 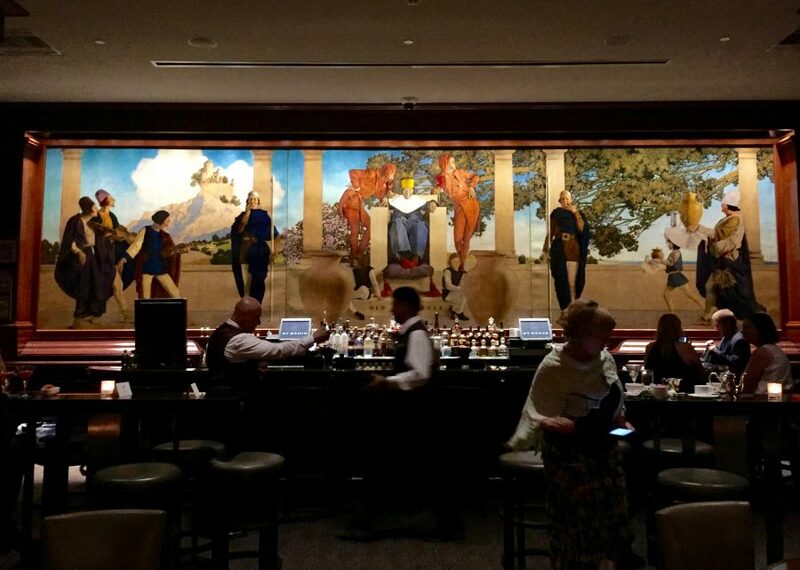 Fun fact: The Old King Cole mural contains a secret that The St. Regis bartenders know and can tell you, so be sure to ask when you stop by the bar. Plus, the bar is open to the hotel, so you get to see all that loveliness as well. No minors are permitted at the bar after 5 p.m. Obviously, this bar caters to an adult crowd, so if you have children or teenagers, you won’t be able to sit with them at the bar like you can in a lot of other NYC watering holes. 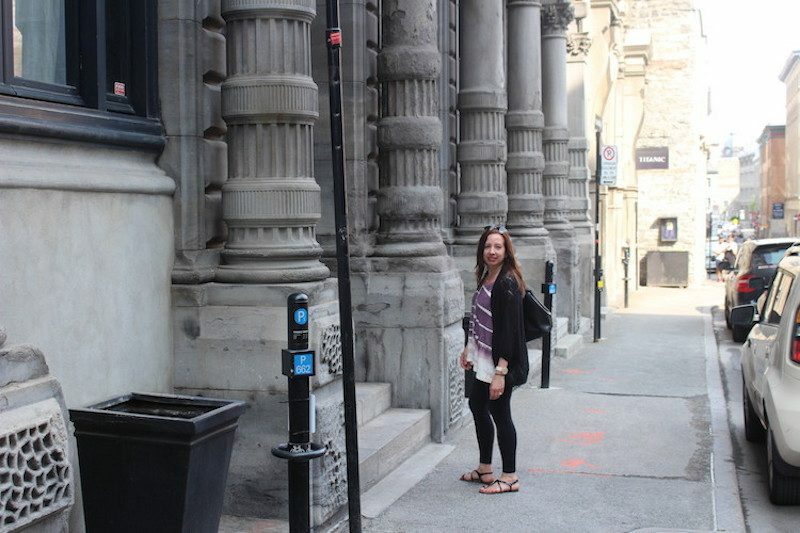 The King Cole is a sophisticated place and the hotel wants to keep it that way. Leave the shorts, t-shirts, and athletic wear at home. Dress business casual (nice jeans should be okay), or better yet a pair of nice pants and a crisp shirt for the guys, and something fashionable for the ladies. Don’t be surprised if you see black tie in this bar, but you’ll also see people dressed casually. The bar does not accept reservations. How much will a stop in this bar set you back? The specialty cocktails cost $24, the Bloody Mary cocktails are $25, beers start around $10, and glasses of wine from around $16. Yes, it’s a one-drink kind of place, but if you sip and savor, take in the history and think about all that’s transpired in that room over the years, then you might be able to justify the steep prices…. 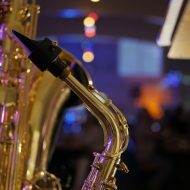 Don’t think because the bar is upscale that you can’t let a little loose and have fun. You can! Savor this slice of Old New York and enjoy every minute. 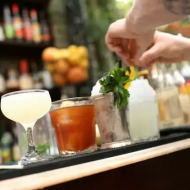 Also, NYC cocktails and where to find them, and stepping beyond the bars in NYC.